As you start out on your Partner Visa journey, our advice is to be prepared for stressful times ahead. Regardless of whether yours is a complex case or a really straightforward Partner Visa Application, it’s really important for both partners to be realistic about the process that both of you will have to go through. What are some of the stressors the Visa Applicant might experience? Preparing a Partner Visa Application is just one part of the journey involved when you’re going through the process of starting your life together in Australia. In most cases, one party, usually the Visa Applicant, will be leaving behind everything and everybody they know. They will have either already left their home country or are preparing to do so. Once in Australia, they’re probably going to be missing the support of their family and friends as well as finding their way in a new country. If they’ve already been living here for some time, for example, on a Student or Working Holiday Visa, at some point they will be grappling with the fact that they’re not going to be going home to live for a very long time. Australia is going to be their new home. And so the move to a new country is a BIG commitment, not just a commitment to the relationship but a commitment to their life long-term. As they may not be living back in their home country while waiting for visa approval, they’re not going to see their family as much as they are used to, either. All these adds weight to our heartfelt advice which is to BE KIND to each other when you’re going through the Visa Application process. And if fights do come up, it is best to avoid bringing the Partner Visa into the scope of the argument. What if the relationship breaks down as a result of the stress involved? Hopefully this won’t happen but it’s a really good idea to have a chat at the start of the process about what MIGHT happen if the relationship did indeed break down during the process. If the relationship does break down, the fact is that the Visa Application will need to be withdrawn. This is why it is REALLY important to discuss the ‘what if’s..?’ at the beginning of your visa journey. This way, you can help ensure you’re both ready and prepared for the difficult road ahead. What are the usual processing times? Well, adding to the day-to-day stressors mentioned, waiting out the processing times alone can be super, super stressful. We’ve had cases that take five months and then we’ve had cases that take two years! Visa processing times can be particularly stressful for the visa applicant. A lot of thoughts going through their mind at this time are questions such as, “Why is it taking such a long time?”, “Is it taking a long time because it’s going to be refused?”, “Is Immigration NOT satisfied with what I’ve given them?” and so on. With most cases, in my experience, the processing times will be completely beyond your control. And It’s not because it’s a ‘bad’ or ‘unprepared’ application, or because Immigration wants to refuse it. In a lot of cases, particularly nowadays, the delay is simply because Immigration processing times are generally taking longer and longer. In summary, it is good to have an understanding of the day to day stressors a Visa Applicant may go through during the application process. COMMUNICATION is key and our best advice is to BE KIND and be prepared. So, strap yourselves in because it can be a bit of a stressful ride. 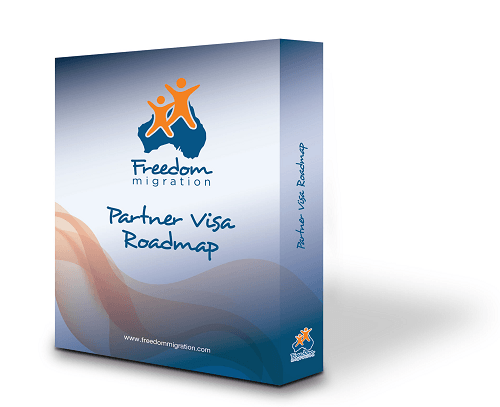 Always remember, we, at Freedom Migration, are always available to give you professional advice and help you through the Partner Visa process to ensure your best chance in getting your application approved.